AS Egyptian prosecutors overnight demanded almost $A200,000 to give journalist Peter Greste's defence team access to the evidence against him, his Brisbane parents have been left shaken. Juris and Loris Greste said watching their son's case delayed another seven days showed "justice delayed is certainly justice denied". Greste has been in an Egyptian maximum-security prison on terrorism-related charges including associating with the banned Muslim brotherhood and reporting false news. He, and his two Al Jazeera English colleagues also detained since December 29, deny the charges. The eighth day of their trial in Cairo was to be the start of the defence case but instead the trio first heard their lawyer resign and then prosecutors demand a fee of 1.2 million Egyptian pounds to access video evidence in the case. World media reported Greste was frustrated and appeared rattled at this latest development. It is understood the standard fee to access evidence is 500 Egyptian pounds ($75). 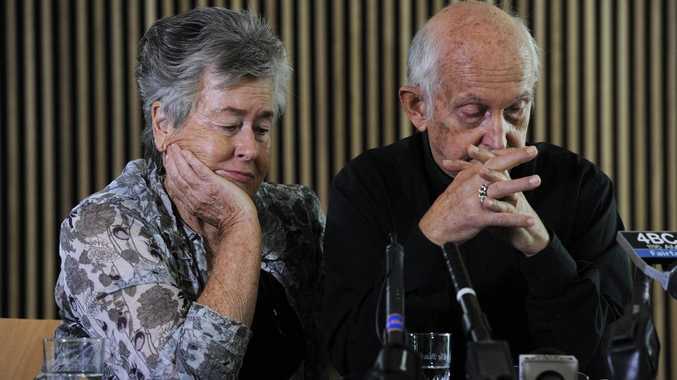 Mr Greste told media in Brisbane on Friday that the family was suffering during the long wait for justice. "With great respect to the government of Egypt, what keeps occupying our mind, what we keep asking ourselves time and time again is what have we, as a family, done to hurt the people of Egypt that our lives should be so traumatised, so up-ended and so diminished," he said. "Peter's been a great son, an acclaimed journalist and a compassionate human being. "He is completely innocent and yet we're all having to go through this pain; for what, we keep asking ourselves," he said. They will reappear in court on May 22.